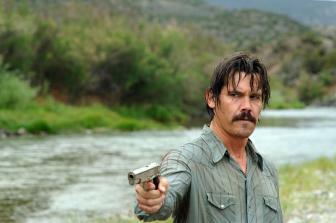 "No Country For Old Men" features a cast that includes Academy Award-winner Tommy Lee Jones ("The Fugitive," "Men in Black"), Josh Brolin ("Grindhouse"), Academy Award-nominee Javier Bardem ("The Sea Inside"), Academy Award-nominee Woody Harrelson ("The People Vs. Larry Flynt") and Kelly Macdonald ("Trainspotting"). "Thank you life, thank you love, and it is true, there is some angels in this city." -- Marion Cotillard. Marion Cotillard won the 2008 Best Actress Oscar for her portrayal of the singer Edith Piaf in the film La Vie En Rose. This is Marion Cotillard's first Academy Award and was her first Oscar nomination. This is his fourth nomination in this category. 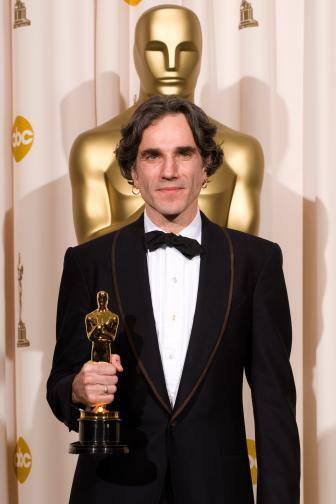 He won an Oscar for his performance in My Left Foot (1989) and was nominated for In the Name of the Father (1993) and Gangs of New York (2002). George Clooney's fourth overall Academy Award nomination and the first in this category. In 2005, George Clooney won an Oscar for his supporting role in Syriana, and was also nominated for writing and directing Good Night, and Good Luck. This is Johnny Depp's third nomination in this category. His other nominations were for Pirates of the Caribbean: The Curse of the Black Pearl (2003) and Finding Neverland (2004). Tommy Lee Jones' third nomination and the first in this category. He was nominated for his supporting roles in JFK (1991) and The Fugitive (1993), for which he won the Oscar. This is Viggo Mortensen's first Academy Award Oscar nomination. Acclaimed Spanish actor Javier Bardem, who landed the plum role of Chigurh, the killer who embodies the sinister heart of the borderlands drug world, was not familiar with the book until he had read the script, which instantly grabbed him. "I thought it was a very powerful story about violence and about how to control and stop the huge wave of violence that the world is living through right now," he says of the adaptation. 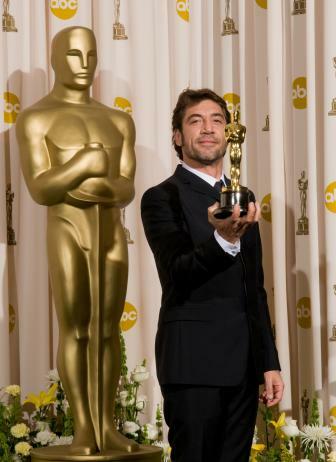 Bardem has quickly risen as one of international cinema�s greatest talents, garnering an Academy Award� nomination for his role as Cuban poet Reinaldo Arenas in BEFORE NIGHT FALLS, and winning the Best Actor Award at the Venice Film Festival as the remarkable bedridden hero of THE SEA INSIDE. With Chigurh, Bardem faced one of his most exciting challenges yet � embodying a mythic villain whose soul appears to let in no light. 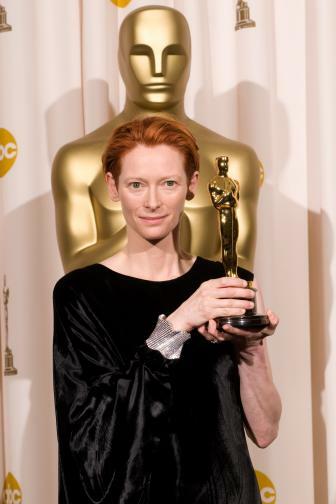 Philip Seymour Hoffman in "Charlie Wilson�s War"
Karen Crowder played by Academy Award-winning actress Tilda Swinton. Karen is an aggressively ambitious litigator who has just been promoted to the seat of U/North's in-house chief counsel, and assumes the duty of guaranteeing a successful outcome in the class action suit. In casting Tilda Swinton in the role, Gilroy states, "There are so many great actresses out there, but Tilda stood out in my mind. She is somebody who is strong enough to carry the extra burden of Karen's solitary scenes. She is also very convincing in portraying someone who's deeply flawed." Tilda Swinton observes, "Karen is a high-powered executive who's overwhelmed by ambition and seduced by money and power. I think there are a lot of people in all sorts of high-level business situations who will sympathize with the kind of panic attack she has. There are three billion dollars at stake, and those sums of money can do really bad things to people's judgment." Cate Blanchett in "I�m Not There"
"That�s How You Know" from "Enchanted"